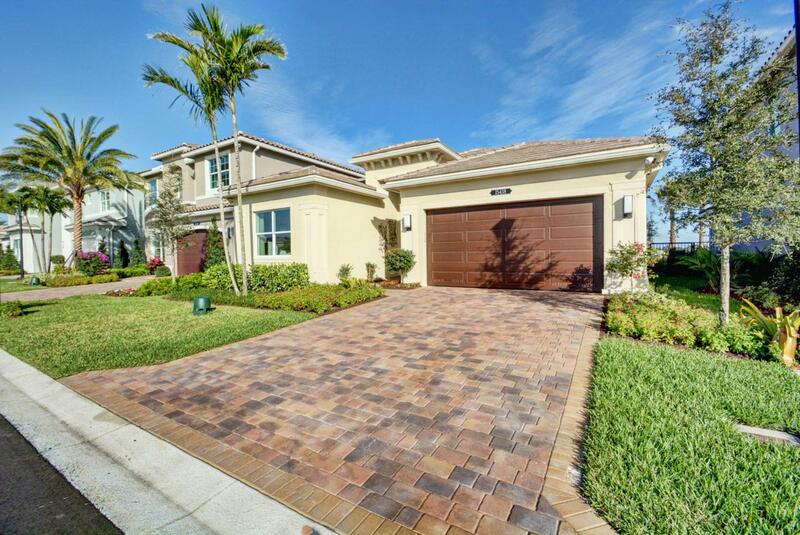 SPECTACULAR HOME IN ONE OF GL HOMES' NEWEST ACTIVE COMMUNITIES. 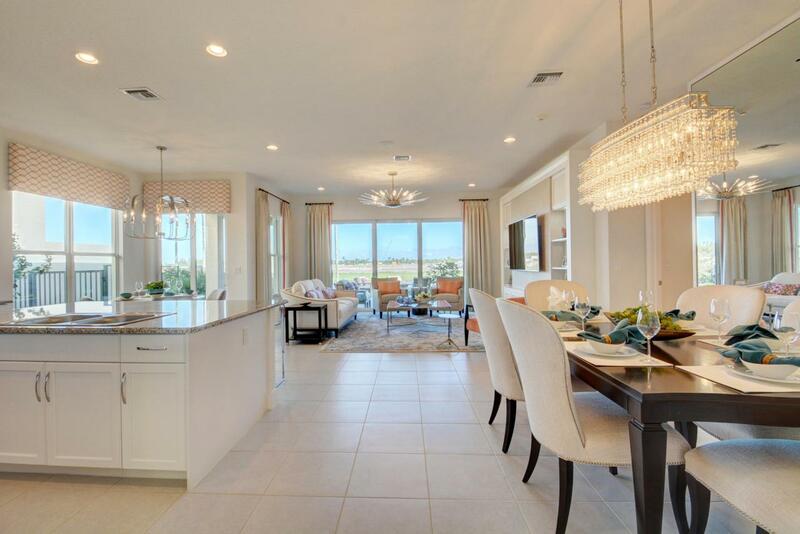 BRAND NEW ATLANTIC GRANDE MODEL BOASTS 2BR PLUS DEN, 2 1/2 BTHS. ENTIRE HOUSE HAS IMPACT GLASS WINDOWS & DOORS, WHOLE HOUSE HAS GUTTERS, UPGRADED INTERIOR PAINT COLOR, PRE-WIRED FOR FUTURE POOL& UPGRADED ADDITIONAL HI-HATS & ELECTRICAL PACKAGE. KITCHEN INCLUDES LEVEL 3 LANCASTER MAPLE BRIGHT WHITE CABINETS, UPGRADED LEVEL 3 CABINET PANTRY, ENHANCEMENT PACKAGE INCLUDING CROWN MOLDING W/ LIGHTING ABOVE & BENEATH CABINETS, UPGRADED QUARTZ GROUP 2 COUNTERTOPS W/ UPGRADED DECORATIVE GLASS DETAIL BACKSPLASH & UPGRADED UNDER MOUNT SINGLE BOWL SS SINK & UPGRADED MOEN PULL DOWN SPRAY FAUCET. ALL GE SS APPLIANCES INCLUDING 25 CF REFRIGERATOR, SLIDE IN RADIANT TOP STOVE, MICROWAVE VENTED TO THE EXTERIOR, AND DISHWASHER. 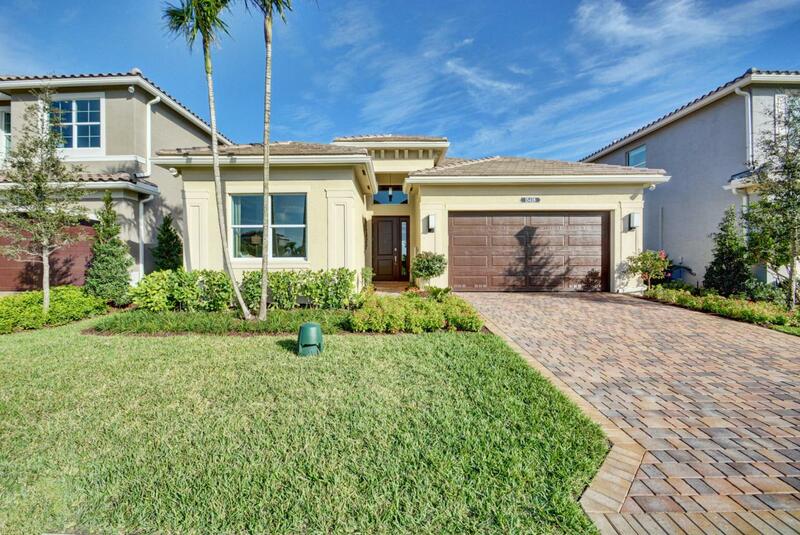 *CLICK ON MOREMASTER BATH HAS UPGRADED GROUP E TILE PACKAGE, UPGRADED LEVEL 3 LANCASTER MAPLE BRIGHT WHITE CABINETS, UPGRADED QUARTZ GROUP 2 COUNTERTOP W/ UNDERMOUNT SINK & MIRRORS ARE TO CEILING! SECONDARY BATHS HAVE LEVEL 4 CABINETS, BANJO COUNTERTOPS, UPGRADED MOEN FAUCETS & MIRRORS TO THE CEILING! THERE IS UPGRADED GROUP 3, 20"X20" PORCELAIN TILE THROUGHOUT ALL TRAFFIC AREAS, BATH 2 & POWDER ROOM. THERE IS AN UPGRADED FREE-STANDING SINK IN THE LAUNDRY ROOM! *STATE OF THE ART CLUBHOUSE IS NOW OPEN* CLUBHOUSE HAS TENNIS, PICKLEBALL, FULL BASKETBALL COURT, RESORT-STYLE POOL, WADING POOL, WHIRLPOOL SPA, PLAYGROUND, INDOOR SPORTS COURT, EVENT ROOM W/ KITCHEN, CARD ROOM, FITNESS CENTER, AEROBICS STUDIO, A SOCIAL DIRECTOR AND SO MUCH MORE!! THERE IS ALSO A 24- HOUR STAFFED GATED ENTRANCE! DAKOTA IS CLOSE TO IT ALL! 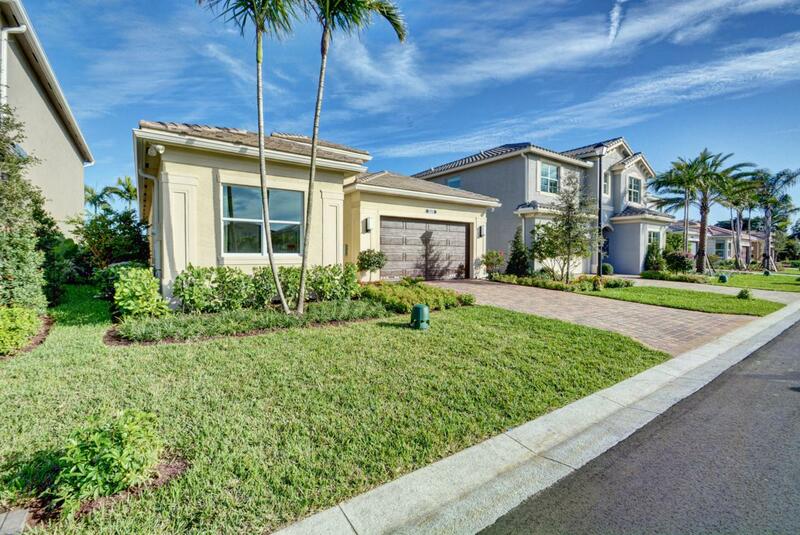 MINUTES FROM DELRAY MARKETPLACE, BEACHES, RESTAURANTS & ENTERTAINMENT! GREAT SCHOOLS! RESORT STYLE AMENITIES!